(Born 12 February 1941) is an Indian politician from Telangana, currently serving as Governor of the states of Maharashtra and of Tamil Nadu. A member of the Bharatiya Janata Party, he had served as a Union Minister of State in the Ministry of Home Affairs in Atal Bihari Vajpayee's government from 1999. He was elected to 12th and 13th Lok Sabha from Karimnagar. He was born in Nagaram, Sircilla district on 12 February 1941 to C. Srinivasa Rao and Chandramma, in a Padmanayaka Velama Dora family. He has three brothers. He completed his schooling in Vemulawada, PUC in Hyderabad, B.Sc. in Nanded of Maharashtra and later studied law at Osmania University. After completion of law, he started working as lawyer. He was elected as convener (Chairman) of Janasangh, Karimnagar in 1972. He went to jail during the emergency period. 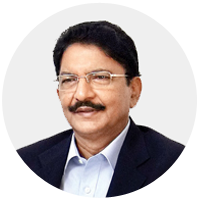 He represented the BJP in Andhra Pradesh Legislative Assembly from Metpally assembly segment from 1985 to 1998 and entered into the Parliament by winning Karimnagar Lok Sabha constituency in 1998 and in 1999. He was also the BJP state president in 1998. His leadership in assembly has lifted party's profile in the state. Shri Rao had been Floor Leader of his party in the Andhra Pradesh Legislative Assembly for 15 years. He was successful in piloting a private member’s bill in the Andhra Pradesh Legislative Assembly that sought stringent punishment for people practicing bigamy. It was completely Sri Rao's brainchild. His Padyatra to Ichampalli in the year 1998 as the then BJP president highlighting the need to utilize Godavari waters for the needs of the people of Telangana led the Government to consider the project seriously. He was Union minister of State for Home affairs in the cabinet of Atal Behari Vajpayee in 1999. Later, his portfolio was changed to Union Minister of state for Commerce and Industry. His wife's name is Vinoda. His elder brothers are C. Rajeshwara Rao, a former Communist leader; C. Hanumantha Rao who was the chancellor of Hyderabad Central University and C. Venkateshwara Rao. Most of his family members are settled in Dallas, Florida and Dubai.